Helpful Information for Plustek products. Before you request technical support, please check the list of Frequently Asked Questions and solutions below. Solution: Suggest to uninstall and reinstall the latest MAC framework again. 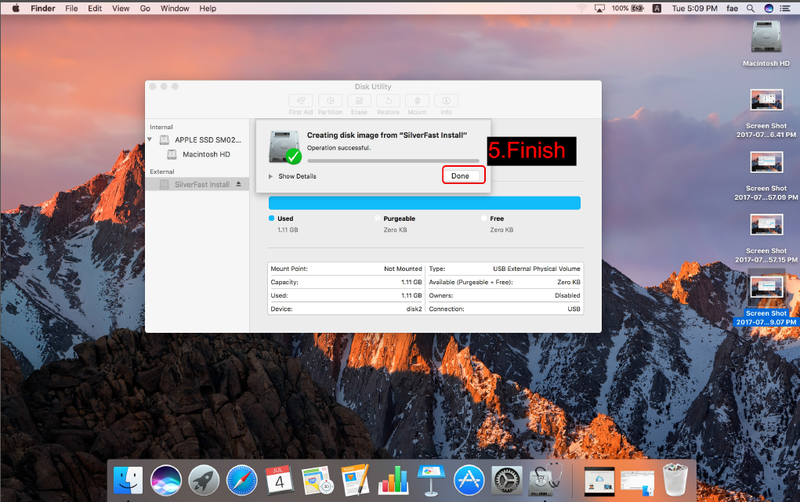 The following framework downloaded link will help to uninstall current installed framework and reinstall the framework on Mac OS. OpticFilm Series - How to do the SilverFast software reset. Sometimes the scanning result is strange, and some times the scanner or the software works abnormal for an unknown reason. Doing the SilverFast software reset to the factory default is an useful way to solve issue. Step 1. Click the [Service Dialog] in SilverFast selcome screen. This example is using OF7600i web driver v4.2.0.4 from plustek website. 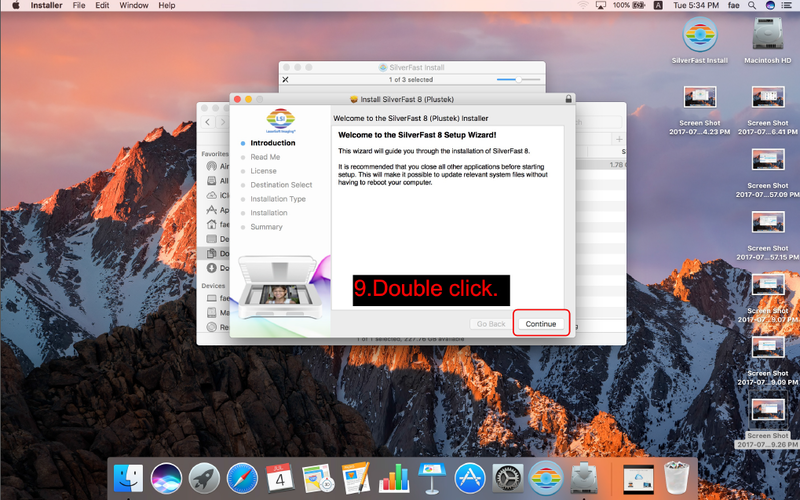 Step 1: Download the driver through plustek driver and download page. Step 2: Unzip the driver file, OF7600i-V4204_13L.zip. 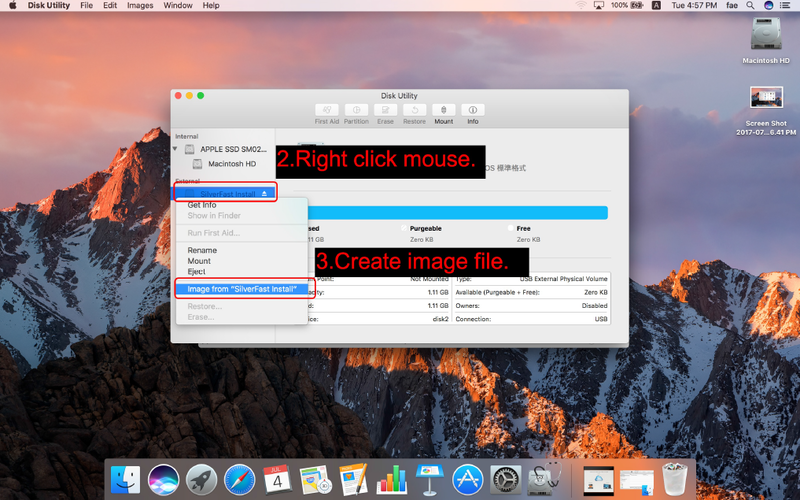 Step 3: Enter the driver folder [OF7600i-V4204_13L], and enter the [32bit] file folder. Step 4: Click setup.exe to install the driver, and follow the following onscreen instruction. OpticFilm 120 - How to do the batch scan? Step 1: Click [Overview] which is on the bottom of the vertical tool bar, and the Overview dialog appears, and then OF120 starts to scan the whole film holder. 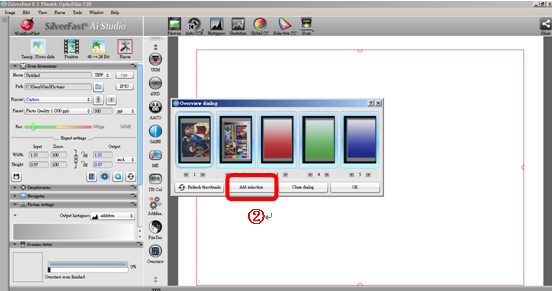 Step2: Click [Add selection] and then the scanner begins to scan the selected frame of the thumbnails and jobManager dialog will show up. Step3: Adjust the scanner dimensions and filters if necessary. 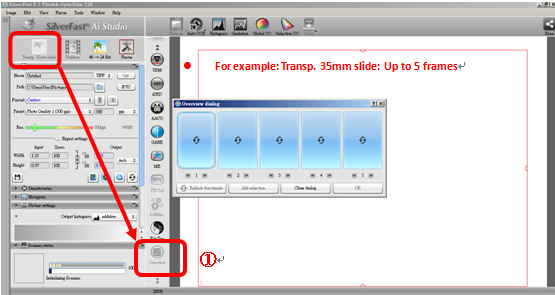 Step4: Copy and paste settings from one frame to one or more frames. Step5: Start the job scan. 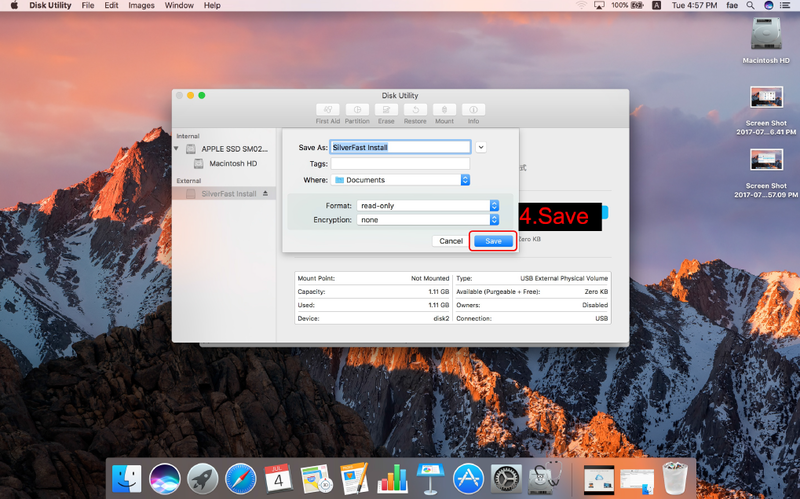 Step6: [Save As] Dialog appears, and user can edit the output file name. 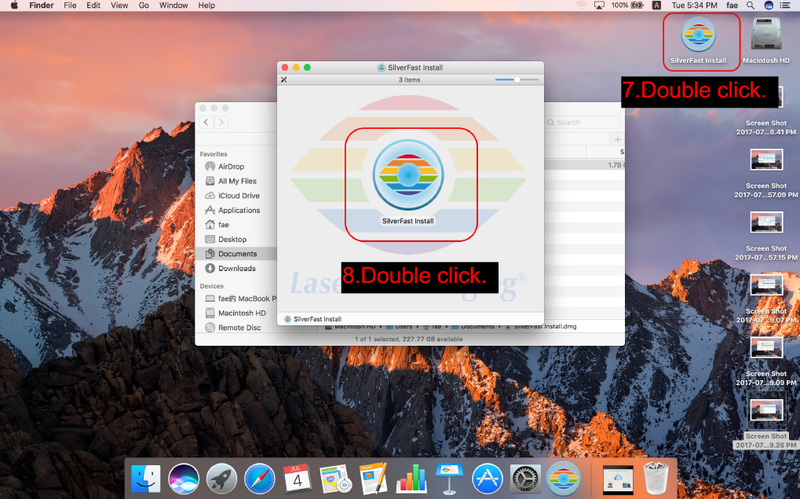 How to install my OpticFilm product on Mac 10.9.x or later OS? 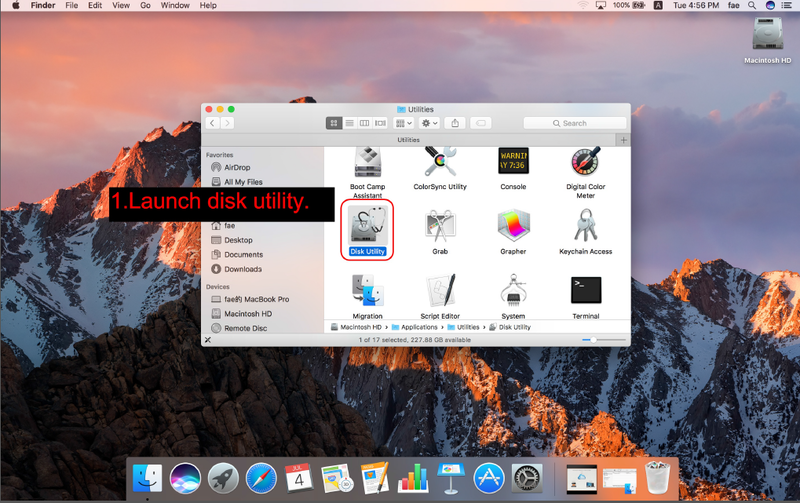 I have purchased the OpticFilm product, and I could not install the software and driver on my new iMAC OS 10.9 through the original DVD. How should I do? You could download the latest software version to install. However, the original DVD is still very important for an unlocking process. 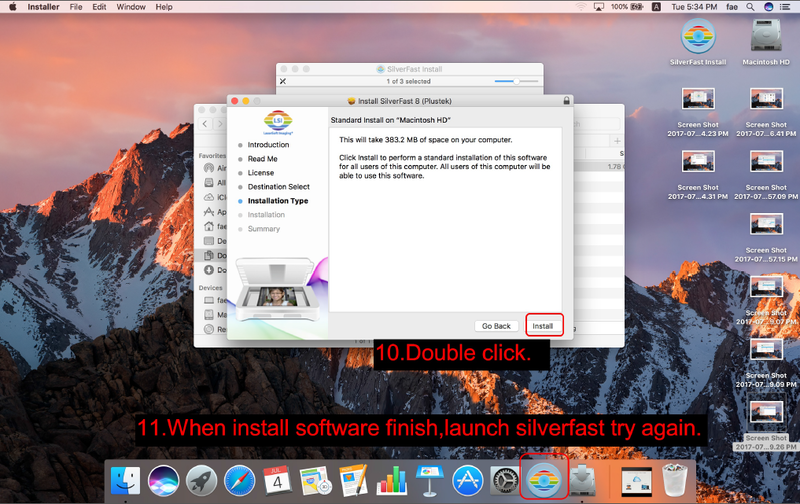 Step 6: Enter the SilverFast software and an new pop-up menu will show up. Step 7: Key-in the license key, the names...etc and insert the SilverFast software DVD into the DVD rom. Step 8: Ready to use. Select "Security" -> "Internet" -> "Custom Level"
Move scroll bar to the "ActiveX Controls and plug-ins" section. 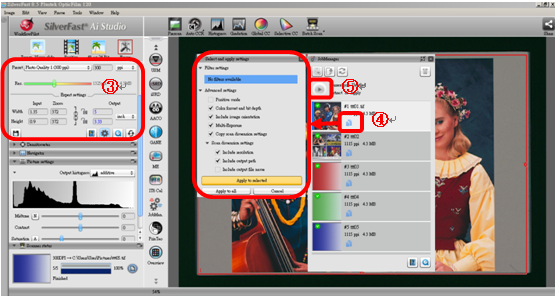 Select "Enable" under each of the options in the "ActiveX Controls and plug-ins" section. Click "OK" to save the changes, then close the Internet Options windows. The camera will lose video from time to time with Live viewing, how should I do now? In order to overcome network traffic issue that may cause this problem, please use “TCP“ for “Streaming Protocol“ instead. X Series - Can I use Chrome or Firefox to view video footage of my NVR? The system provides live video footage previewing, basic playback functions and system setup functions. 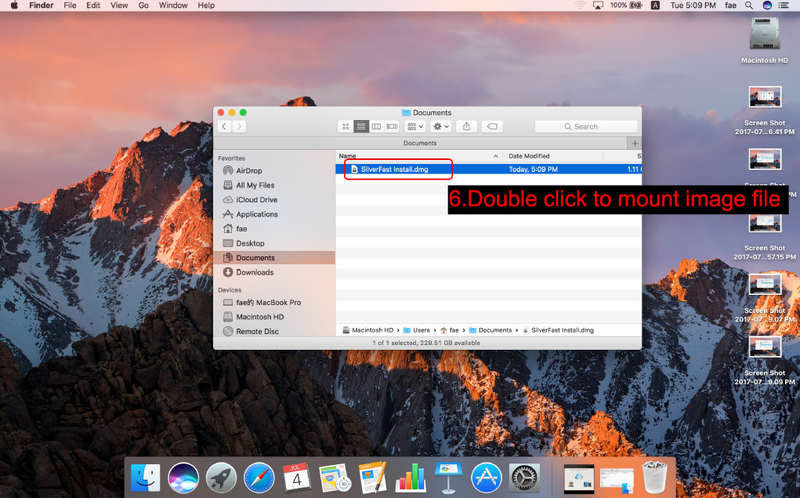 It is strongly suggested to use Chrome or Firefox only for setting up the system instead. Note: for Chrome and Firefox, "Video Export" function is not provided; "Alarm View" is not provided with X888P. X Series - I cant connect to my NVR by EasyLink Tool with my PC. What should do now? It is usually caused by network problem. Please try it later or contact your IT or MIS. X Series - What is the maximum resolution of VGA output and is it available with local mouse function? The system supports 640x480 in resolution with VGA output for local live video viewing. Also, the mouse function is not supported. X Series - Why cant I set motion detection for some cameras? It depends on camera's capability. Also, the system does not support motion detection for camera added via "Onvif" or "General Camera" (RTSP) driver. X Series - Why system log out sometimes? The system will automatically log out for user with idle time for more than 300 seconds, except user is staying on "Live" or "Playback" page. X Series - It happened once that connecting my NVR with EasyLink Tool, my IE window shows something like " … the page cant display …". So I close my IE window, and the search my NVR and open it up over again with IE window. Although everything works well again, I am worried about that if video footage is not being recorded during this period? The system will only stop recording during system rebooting process, where the system will make beep sound to alert user for that. On the other hand, in the case you mentioned, it is usually caused by network problem. So only the connection between your NVR and IE window for viewing operation is needed to be built up again, while the recording on the NVR end never stops. X Series - I tried to delete an ever created DDNS entity. However, it seemed not be removed at once. Why? The DDNS entry will not be exactly deleted unless the DDNS Server is accessible to the system as being performed. It will be removed as the DDNS Server is accessible later sometime. A user will find the change with next logon afterwards. X Series - I have opened a few IE windows and connect to my NVR at the same time. As a result, I found some live video footage are not showing up at times. What should I do now? Since the system will decide the maximum video footage to deliver concurrently, it may be caused by exceeding system's limitations. It is suggested to close some of the IE windows or to give up unnecessary client connections before trying it later again. Please make sure all cameras are booting up and properly connected with NVR before running "One-button Installer". 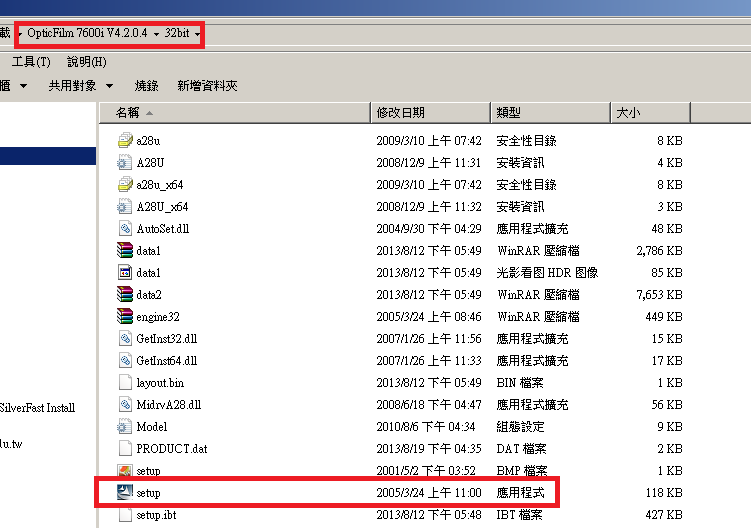 For those cameras failed to be automatically added into the system with "One-button Installer", a user can log on the system as "admin" and manually search and add them into the system. X Series - Is it normal that some IP cameras should reboot themselves after being added or being changed of video settings? It's a normal behavior for some cameras. Anyway, the system will show its video footage after seconds as it reboots successfully. X Series - Is it possible that I can send an email for system-wise notification via Gmails SMTP server? The system supports most of SMTP servers, excluding Gmail's SMTP server for the time being. Will support it with future version. "The system will reserve 15% of storage space for event recording. Also, the system shall do automatic recycling to release free storage space, as the storage space is running out, for schedule recording and event recording, respectively."